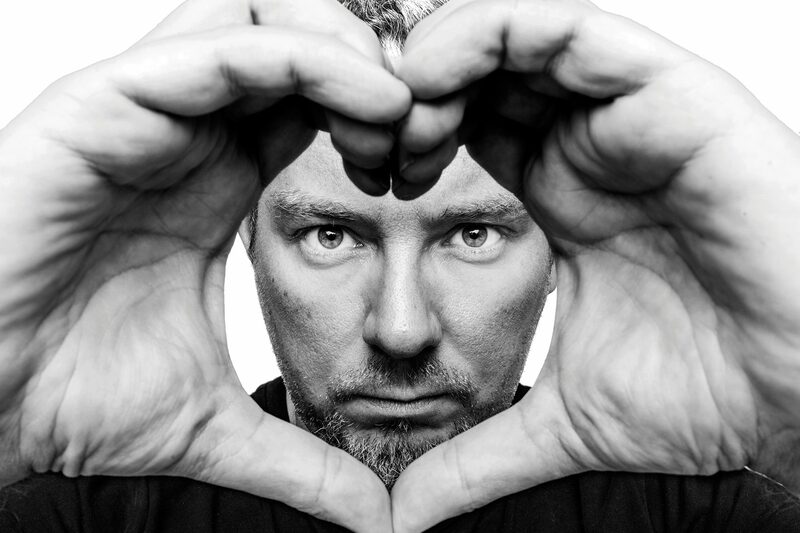 Albert Adrià assures us he’s a “normal guy” who surrounds himself with normal people, though if you glanced at his CV it might be a little hard to believe. Manager of seven restaurants which have amassed three Michelin stars, he has been named the world’s best pastry chef and is capable of shining from his merits alone, despite having a “titan” for an older brother, as he himself calls Ferran Adrià. But when you chat to him, it is like talking to an ordinary guy, dressed in a shirt, jeans and trainers. A pleasant man, sincere, pleasant and cheerful. At the end of last season you said that Heart had started on a bad note and you would need two years to become fully established. Is this the transition year? I didn’t say we’d started badly, just that we hadn’t met our initial expectations. This year is about transition and learning, yes. We know a little more about what’s going on on the island, but this is still another world, another planet even. It seems like the Adrià brothers have the midas touch, was this your first failure? This wasn’t a failure by any means, I never said it was. We arrived and the summer was upon us before we’d had time to react. When we stopped reeling from it all, the season was already over. We went through several different phases during last year. There was the Heart in June when we had no clue about anything, the Heart in July of learning from everything that had happened, in August of confirmation and then the Heart in September that people loved. What is your proposal for this season? What we’ve done this year is taken control, we haven’t changed as such, as the basis is the same. The initial concept was good, all we’ve done is add what people have asked for, and what people want in Ibiza is to party. Moreso than eating badly. The difference between eating well and badly is the product, and good products are expensive. It’s more expensive than eating badly. Is a good anchovy expensive? No, it costs money but it’s worth so much more than a bad anchovy. I own restaurants that span from 40 Euro all the way up to Enigma which would set you back 250. In my opinion there are two types of cookery: good and bad. There is a declaration of intent when you talk about haute cuisine, you know you’ll have to pay for it, but you are entitled to expect a particular level of service. At first it’s easy, the client is the judge. People come, if they like it they’ll come back, if not we’ll end up closing. Enigma is haute cuisine, Heart isn’t I don’t think. It’s more a balance between the food and the overall experience. Some people come to eat, and others pay no attention to the food. You have seven restaurants (Tickets, Enigma, Nikkei Pakta, la Bodega 1900 vermouth bar, the Niño Viejo taco restaurant and Heart), how do you manage them all? Heart takes up as much of my time as the other six. I’m going to be here for three weeks. I have six restaurants in close proximity to each other, and in the centre I have a external workshop that I pay for. My personal team and I carry out our own audit process of the restaurants. We have a series of tricks up our sleeves to maintain a constant level, always with a tendency for improvement. We create open concepts which never stop improving. Do you have time for anything other than work? There’s a saying that says “Do what you love and you’ll never work another day in your life”. I am lucky enough to do what I love, my team members do what they love and we have achieved, above all, a very professional and pure work environment. I’m surrounded by people like myself, I’m just a normal guy, as are the people that work around me. It seems that your work has been being recognised for some time now (three Michelin stars, Tickets amongst the top 50 restaurants in the world, world’s best pastry chef). Have you reached your limit? You shouldn’t work to gather trophies, you should do it to be happy. I look in the mirror and think to myself “I’m a lucky man”. The simple fact that I can choose what I want to do, whether to do it or not, it’s up to me. In my world, I’m just that lucky. Now in Heart we’ve decided to make a proper go of it, and I’m telling you now it will be different. It’s a true privilege. Then the recognition happens. I have no doubt that I have lots still to offer, but not just me, the team. A sergeant needs his battalion and that battalion is in training to be bigger and better every day. The project that’s underway in Barcelona in three or four years time will have reached a level that sets it apart from anything else in the world. Are you especially motivated by the Heart project? It’s the project that most motivates me at the moment, because it’s really huge. My brother came just now for the grand opening and he can’t get over it. I said to him: “Ferran, this is really complex, it’s not just serving food. Serving food is just one small part of it”. Ferran has been involved in the project for the past five months because we can both see the potential and he will spend two and a half weeks here focused entirely on this project, despite being a very busy guy. It’s an example of what Heart means to us. It’s the complete project, I don’t think there can be anything bigger than this. This kind of project could only be in two more places in the world. And that’s the idea, that Heart be such a strong brand that it can surpass Cirque de Soleil or Adrià. We have to work hard so that people take planes just to come to Heart, as was the case with El Bulli. The second I leave here, I am going to open Enigma, where I’ve invested all the money I don’t have. I have dedicated three years to it and it is a really incredible place. I want to open a patisserie in London and a beach club in the Dominican Republic, because it’s better to wear swimming trunks in the Dominican Republic than work in Dubai at 45º. 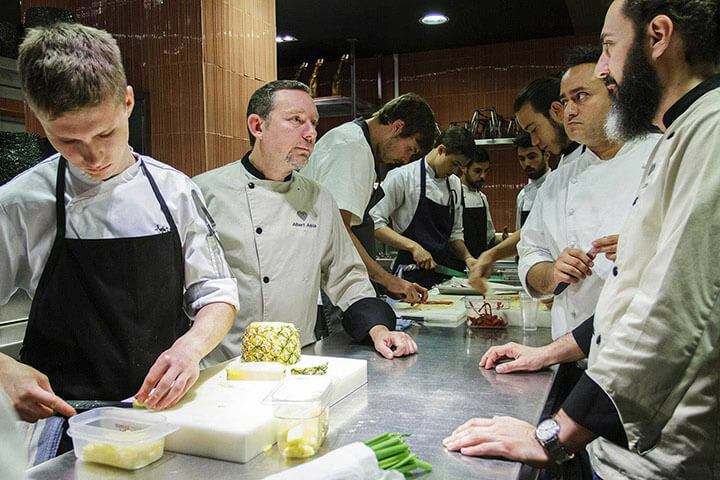 Has being Ferran Adrià’s younger brother overshadowed you a bit, or has it helped you get to where you are today? I chose my path. What happened to me is what’s happening to lots of others that are overshadowed by me. Ferran had a team in which he was the coach and everyone knew their place. And actually, I’m a fairly introverted guy who doesn’t like to appear much in the media. With Ferran, he carried all the weight so that others like me could work comfortably in his shadow, with him as our captain. Ferran is a titan. Have you ever been jealous of your older brother? Not in the least. If you asked him who he most admires in the world he would say me and I would say him. I am over the moon, because he really and truly deserves each and every one of the awards he has received. Do you know how complicated it is to make a go of a restaurant in a small bay, in the middle of a natural park? It’s the stuff of legends. We went through a period where we didn’t work, because not a soul came to eat, suffering losses, and each day he pushed us forward and managed to make a legend out of it. I was lucky enough to form part of that legend. I sell happiness, not food. I can assure you that this project, which is already amazing, will be something quite unique next year. How are the Adrià brothers similar? In almost everything, despite being quite different in nearly everything. We see things in each other and say: “that’s my brother”, but each of us have our own personality and way of doing things. After 31 years working together, we each know our place and the role we carry out. It’s interesting because I’m more the cook than he is. I have learnt so much with the six restaurants. If you compare your case with that of the Roca brothers, it seems like the younger brother is always relegated to pastry chef. I suppose if we had been three brothers, one would have been the waiter – he says, suppressing laughter, clearly referring to Josep Roca, the prestigious sommelier at El Celler de Can Roca. I must be one of the few examples of someone that’s gone from being a pastry chef to the kitchen and have done it with relative success, a success I measure in full restaurants, not awards. Our restaurants are full every day. I don’t want three Michelin stars and empty restaurants, I want them to be full. Pastry making gives you techniques that cookery doesn’t give you, because when you create a dessert you literally start from scratch. To overcome hurdles you have to use technique, which gives you a knowledge that I have gone on to apply to cookery. That is something I have suffered for 23 years. People are exhausted by the time the dessert course comes around, so it is quite tough to work all day and for people not to value it, or simply not be interested in your work. How important is dessert in a meal? It’s like the end of a movie. The movie could be good, but if the ending is awful, you remember the bad bit. With food, the same applies, a dessert can lift an ordinary meal. Here at Heart, the desserts are showstoppers, a performance all on their own. What do you think of the culinary offering in Ibiza? It’s getting better all the time. After sun and partying, what’s left? Quality comes from competition. When a place opens and it offers something different or better than the rest, that competition makes people choose it, and the old place either reinvents itself or closes. What’s missing on the island for it to become a culinary benchmark? At the end of the day, I think there is what people ask for. I guess people think that there are already enough other places to eat sophisticated food. People here want something different; they’re on holiday and want to have fun. It wouldn’t even occur to me to open a Michelin style haute cuisine restaurant here. People want something light, fun and relaxed… Heart is a combination of those things. Do you like the island? Of course I like Ibiza. This is an international destination without leaving the country. What you do here has international repercussions and it’s only half an hour from Barcelona. That is so important for me. At the moment I don’t have much time, but in two years or so I will be able to enjoy it. What goes on in Ibiza doesn’t happen anywhere else, maybe in Miami or Las Vegas, but I’ve never seen anything like it and I live in Barcelona. Do you use Ibizan ingredients at Heart? I want to give our menu an Ibizan touch, since we’re here. I think imitating the style of the place you’re in is vital for success. I know there are fairs where you can go to discover produce from the island, but we move large volumes. I have tried to speak to local farmers to see if they can provide products, but they aren’t able to do it with the regularity we would need. Right now, I am looking into getting hold of tomatoes from the island rather than bringing them in from elsewhere, because apart from being beneficial for the island itself, it’s good for everyone.